How many times have your found it easier to read a complicated text in the morning than at night, or vice versa? Have you often noticed that you feel cheerful in the morning, but hours later experience a deep sorrow for no apparent reason? With Dr. Garaulet’s new book, you will discover your life’s clocks and learn what time you should perform which actions to enjoy full health. Chronobiology studies the mechanisms that produce biorhythms and their applications to biology and medicine. Discover your biological rhythms and how to improve your wellbeing. 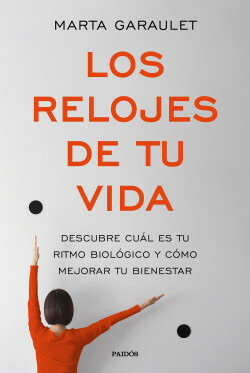 Doctor Marta Garaulet, one of the world experts in chronobiology, explains what this science is and how it can help us improve our habits to live a healthier and happier life.